You may be shocked to hear this, but the slubs watched the Super Bowl yesterday . And not just the commercials or the halftime show. We watched the game as well. And gave up watching Downton Abbey to do so. It was quite the event. Here are the delicious foods that were served: oatmeal chocolate-chip cookies, s’mores cupcakes, lemon teacakes, potstickers, hummus, baked brie, and queso. Possibly not your typical Super Bowl fare, but it was a delicious, slubby feast. Now, while some of us are football fans, none of us were really invested in the game. Nonetheless, we chose sides. Obviously. Shannon, claiming that she was supporting America, rooted for the Patriots, along with Anna and our friend Maddie. Nora and I, in our infinite wisdom, chose the winning team, the Giants. We cheered loudly and often for our respective teams. There was even some smack talk going down. I mean really. Supporting the Patriots? Come. on. Nora and I were called anti-American. Vicious. But there was one thing we all agreed on: Ahmad Bradshaw’s winning touchdown was nothing short of EPIC. Now, after listening to commentary after the game, Bradshaw had not meant to score on this play. Instead his intent was to run the clock down so that the Patriot’s offense would have as little time with the ball as possible. On the otherhand, according the Huffington Post, the Patriots wanted to “concede a score” so that they would have as much time with the ball as possible. He accidentally scores when the Patriots do nothing to stop him. Bradshaw has the ball. He runs. He makes a split second decision to make the slubbiest touchdown of all time. Bradshaw scores the winning touchdown by sitting into the endzone. I mean, why exert the energy, Bradshaw? You are on the goal line. The Patriots seem completely unconcerned about you scoring. Let your momentum carry you gracefully into a seated position in the endzone. Standing: not Superbowl champion. Seated: Superbowl champion. WIN. 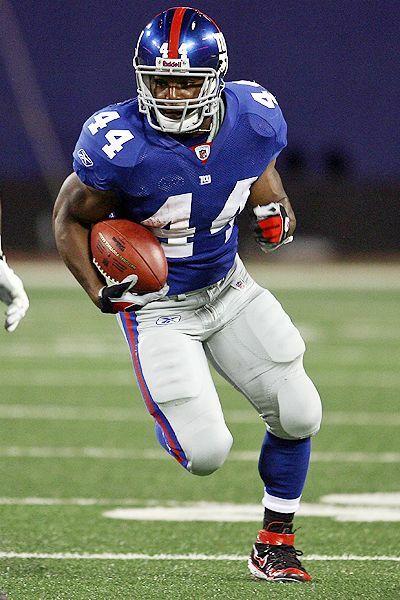 So, to the Superbowl Champions, Ahmad Bradshaw and Giants, congratulations. Congrats for winning a sporting event by acting like a slub. Pretend like you meant to do it. It was truly epic. Categories: slub of the week | Tags: exercise, food, football, slub, sports, Super Bowl, weekend | Permalink.